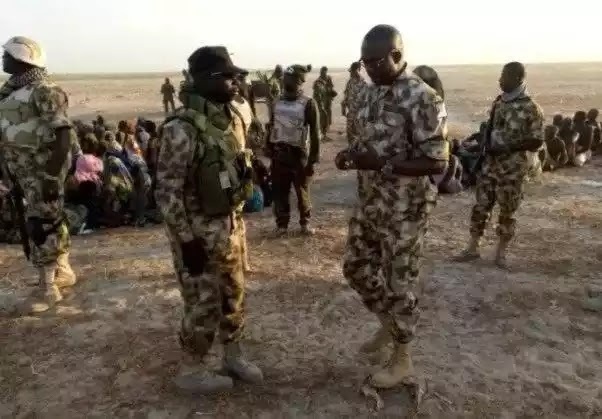 Gallant men of Nigerian soldiers have again recorded a major success in the fight against Boko Haram insurgents with the arrest of one of the top commanders of the terrorist group. The soldiers also succeeded in rescuing 212 hostages and killed four terrorists as they fled after sighting the advancing troops. Brigadier General Sani Kukasheka Usman, the director of army public relations, said the feat was recorded in Borno by troops of 3 battalion, 22 brigade Nigerian army, sector 1, Operation Lafiya Dole. 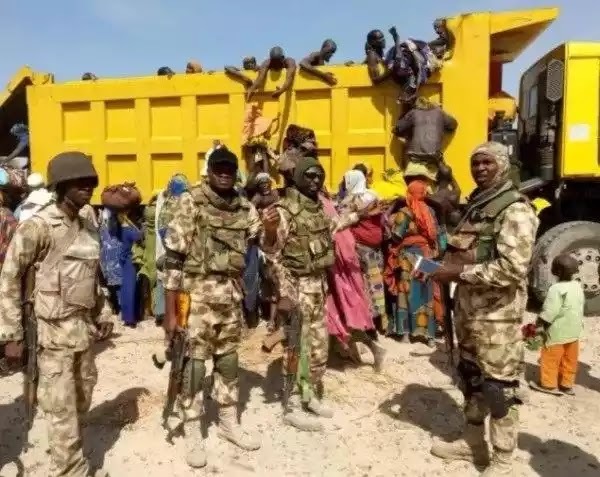 “During the operation, they were able to clear Boko Haram terrorists from their hideouts located at Kala, Jawara, Mada, Mika, Gakulba and Kutilax (Sanga), northern fringes of Sambisa forest and fringes of Kala Balge Local Government Area of Borno state. “The relentless troops pursued them further and neutralized four Boko Haram terrorists after a serious exchange of gun fire, captured one of the terrorists commanders, the ‘Ameer’ of of Chawa, Amman Judee, alive and rescued 212 persons held hostage by the terrorists.